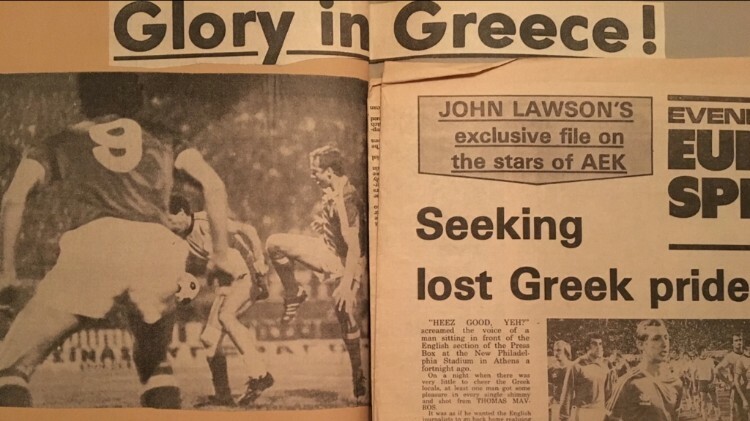 Less than a month after dumping holders Liverpool out of the competition, Cloughie took his Forest side to Greece for their first European Cup match on foreign soil. 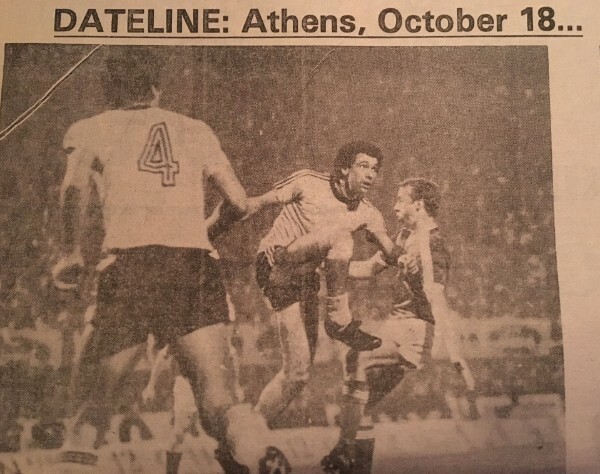 The Reds played AEK Athens (18 October, 1978) in the first leg of the second round tie. And thanks to the memories of a member of the Clough family, we can exclusively reveal how a managerial masterstroke by Brian helped the Reds overcome a hostile cauldron of noise in the stadium. Among the crowd of around 36,000, including about 500 Forest fans, were members of Cloughie's family. They included Brian's brother Joe who had flown to Greece with his wife June to be at the momentous match. Speaking exclusively to brianclough.com, Brian's sister-in-law June recalls that the stadium was full of noisy and passionate AEK supporters. "There was a tremendous atmosphere in the stadium," said June. "The Greek fans were very loud and were chanting long before the match started. "It would have been quite intimidating for the Forest players to walk out and face that amount of noise and hostility. But Brian was a great tactician. He kept his players back for as long as possible, to delay their walk onto the pitch. "By the time the players walked out into the stadium, the fans had become exhausted and so the impact wasn't as bad. From then on, Forest did well and scored good goals on a fantastic night." "It was a pleasure to be there that night," added June. "The weather was so lovely, it was all dreamlike. It was a beautiful night and one of the locals thought I would be cold in my sleeveless dress. But it was lovely and warm. "We were sitting close to the Greek fans and when Forest won the match we thought things might get awkward for us afterwards. But there was no trouble at all. The Greek fans were such lovely people and were very friendly after the match. "I'd never been to Greece before, but they were wonderful hosts. I'll never forget it. It was a very special trip." 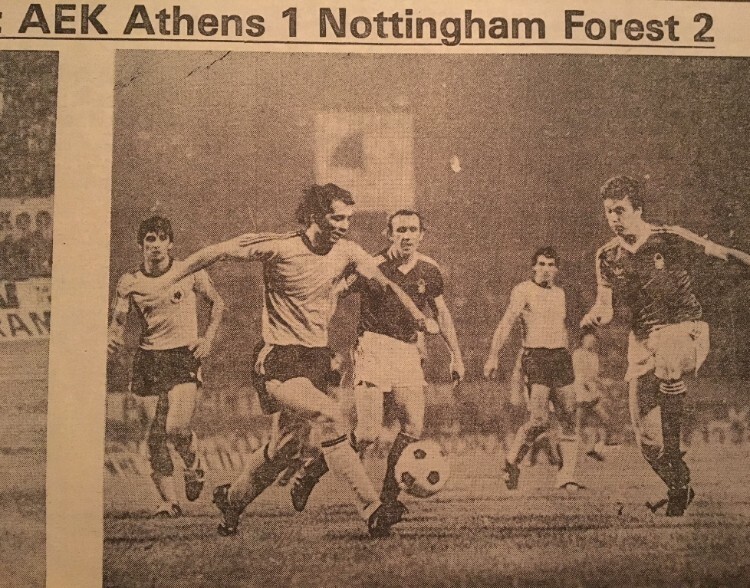 Forest beat AEK Athens 5-1 in the second leg (1st November 1978). Forest won 7-2 on aggregate to go through to the quarter-finals at the first attempt. But Cloughie was keen to make his point.